Like many law enforcement agencies, the Halton Regional Police Service has been collecting data on its activities for years. But as is the case with most such efforts, the data was ending up in a "digital filing cabinet" — and users couldn't find anything unless they knew exactly what they were looking for. So in 2014, the Toronto-area police department created an analytics unit with a mandate to make things more efficient. Operating like a technology startup, the unit works to promote a culture of data-driven decision-making; it's staffed with data scientists, mathematicians, programmers and police officers. With help from Hexagon, the HRPS built a data warehouse that consolidated data sources and then deployed the vendor's business intelligence software. Now, each individual action performed by officers is time-stamped and classified based on the nature of the activity. Officer location and vehicle speed are also tracked via GPS. "The need to communicate the goals and possibilities of a business intelligence system to the entire organization has been key to our success," says Joseph Glover, police analytics coordinator at the HRPS. "Unless people can believe in the product, the solving of the technical challenges doesn't mean much." The unit analyzed activity data in three-month increments and quarter over quarter to identify the busiest times for officers. Commanders then set up a schedule with overlapping 10-hour shifts to coincide with peak activity. 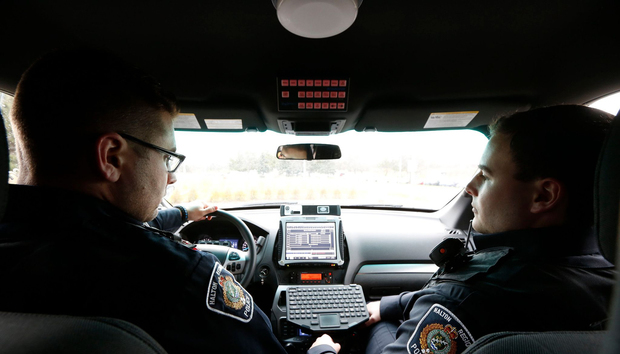 Once the new schedule was in place, the HRPS saw decreased wait times on pending calls and a reduction in officer overload during busy periods. As the organization continues to gain experience using data resources, it's discovering "the importance of having a larger organizational data strategy," says inspector Derek Davis. "We have recognized the virtuous cycle that business process produces data, data produces analysis, analysis leads to better decisions, and those decisions impact business process."